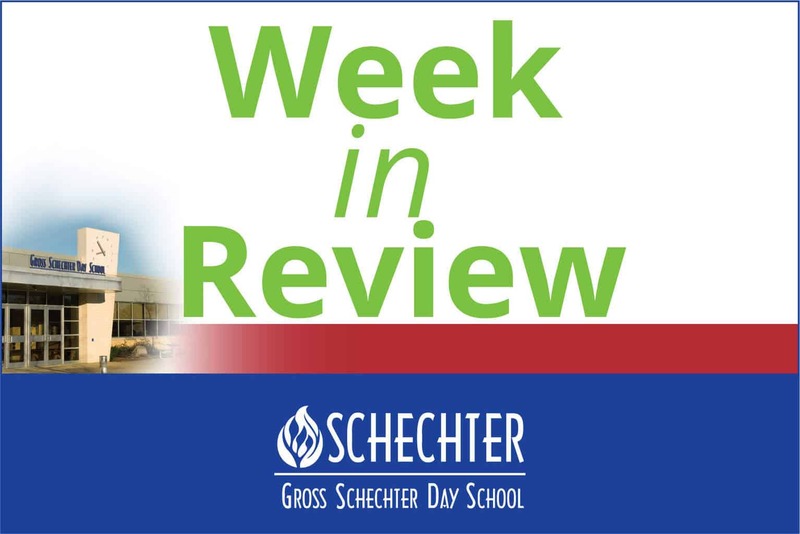 This short week turned into a long week of activities and learning at Gross Schechter. We started the week with an amazing Totally Kosher Rib Burnoff on Monday. Everyone enjoyed the delicious ribs, fun activities and the blazing sun! It was a wonderful event that brought our community together. 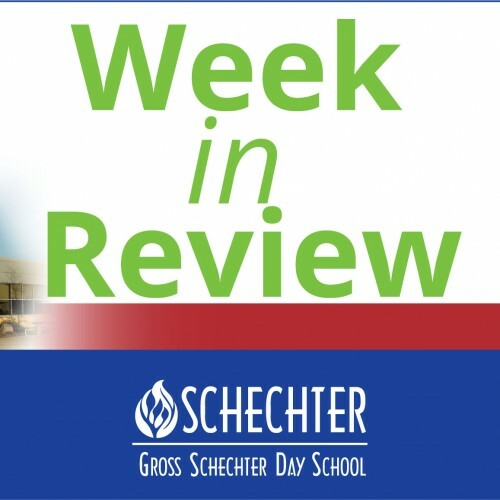 #Schechterpride was palpable as the Cleveland community enjoyed the game truck, ate delicious falafel, waited in line for ribs, rocked the obstacle course, visited the many vendor booths, bid on silent auction items, and enjoyed the music from our DJs! Thank you to our event Chair, Rachel Stein Weinberg and to all who organized, volunteered and attended this great annual event. On Wednesday afternoon, the entire Schechter staff participated in a comprehensive first aid training sponsored by bleedingcontrol.org. This was the second training session we had this year. The first was by our alumni parent Dr. Rob Zimmerman. This training was in conjunction with “go Bags” designated for each classroom in our school provided by the Jewish Federation of Cleveland. These bags contain various supplies in case of an emergency. This year, our staff has received inservice training in the use and the AED, CPR and basic first aid as a way to provide a safe and secure environment for our staff and students. On Thursday morning all of our ICC, ECC, Lower School and Middle School students posed for the annual panoramic picture. Wait to you see the results! We all looked great in our new Schechter Shirts as we smiled our best smiles in the beautiful Schechter Garden. All of our students were amazed that the photographer took the picture while standing on the roof. We had an incredible turnout on Thursday evening at our Schechter Parent Association (SPA) kick-off meeting! Courtney Linden Fishman, Kimberly Levin and Risa Uvlin led the meeting with such enthusiasm; we know it will be a fantastic year of SPA programming. Did you know that we started an elective program for the 3rd and 4th grade students this year? Or our Middle School students have an opportunity to study dissection? Did you hear about the “bucket band” that has been established or the innovative Tefillah services? Has your child come home and talked about the varied lunch menu, or the passing time between classes? Did 8th grade students come home and talk about their “cave writing” experience? Has your child told you about the blowing of the shofar each morning during the month of Elul? We are all preparing for Rosh Hashana and the holidays the following few weeks. Look for the flyer about our Annual Sukkot Sock Hop and check out the beautiful Sukkot in the entrance to the school. Our pre-K students assisted in gathering the twigs and branches. The next few weeks will be filled with celebrations and reflection. Our school calendar will be a little disjointed so our families can observe the holidays. On behalf of the Board of Directors, administrators and staff, we want to wish you all a very sweet New Year. Parashat Nitzavim always falls on the Shabbat preceding Rosh Hashanah, and every year, it helps us to prepare for the High Holidays. It contains the Torah’s sole discussion of teshuvah, repentance. The basic concept of teshuvah is simple and powerful: we can be better people tomorrow than we are today. We can repair relationships, we can fix the flaws in our character, and we can grow. When young, we tend to take this for granted—but as we grow older, we can lose faith in the possibility of change. Well before our joints stiffen, we develop arthritis of character. “I am who I am,” we say, and we continue as we were. At this time of year, we can use a teshuvah pep talk—and Parashat Nitzavim offers two. First, Moses encourages us: “This mitzvah which I instruct you today (i.e. teshuvah) is not beyond your understanding or your reach… your heart and your mouth are able to do it!” Our heart can feel regret, our mouth can apologize, we can change. At Gross Schechter, our students hear both of these messages: “You can do it independently!” and “We’re with you.” Don’t we owe ourselves the same message? May we, in this season of introspection, find the strength to look honestly at ourselves and resolve to grow. And if we feel like can’t do it, may we feel like God is with us, helping us along the way! Can you think of a change you’ve made, or a mistake you’ve fixed, when you were always confident that you could do so? Can you think of a change you’ve made that originally felt impossible?